PICTURE French winemakers and what do you see? Veterans. Wisps of white hair blowing in a warm breeze. Soil brushed off gnarled hands and a grape taken firmly but gently between Gauloises-stained fingers. A face the colour of Red Rum’s saddle bags turned upwards to the life-giving sun…. well that’s what I see. And of course it’s a ridiculous stereotype. Even in the Old World strongholds, thrusting young bloods are breaking new ground. Men like Paul-Henri Thillardon – 27 years old and the creator of Chénas Les Carrières Domaine 2011. At £14.90 from Christopher Piper Wines this is a Beaujolais worthy of a lifetime of experience. Paul-Henri first made wine in basins in his parents’ garage at the age of 10; at the age of 15 he was given a winemaker role; at the age of 22 he set up on his own; now he has a domain of seven hectares. In his own words “wine brings people together”. I don’t think many of us would disagree. His wine is a joy to drink with the worryingly easy downwards slither that decent Beaujolais guarantees. But it’s still flavoursome and complex, floral hints more discernible than fruity flavours. Take a bow young man. Côte de Brouilly Les Sept Vignes Château Thivin 2011 (£14.95 Berry Brothers & Rudd) has one of the grandest labels I’ve seen in a while. Red, yellow and statesmanlike, worthy of a banner in a medieval court. Côte de Brouilly is one of the 10 “crus” in Beaujolais, in other words recognised as making the best wines. This Beaujolais is made by another young blood, Claude Geoffray, also 27. He says his aim is to make a “living wine” that reflects all he does; he wants it to take its time in a “rushing world”. An interesting wine; there are lots of raspberries on the nose from the gamay grape and to taste, a stony edge like wet granite. Continuing the French red theme but this time one from the Rhône. Every time I dipped my nose into ‘Les Six’ Cairanne Côtes du Rhône Villages 2011 I picked up another aroma. The clue is its name. The wine is a blend of six grape varieties, carignan noir, cinsault and counoise, together with the more popular Rhône varieties of grenache noir, syrah and mourvèdre. They have been co-fermented in pairs by winemaker Eric Monnin. So it was no surprise my senses had to work overtime. First there were blackcurrants; then brambles and hedges; another time there was liquorice dipped in vanilla; then the sap of a young tree; one more nose dip found leather and dried cranberries. There was a tastebud sudoku puzzle of fruits, cloves and peppers. It’s a limited production wine (RRP £20) of 12,000 bottles, in the Boutinot Fide et Arte range sold by www.johnhwines.co.uk and www.cheerswinemerchants.co.uk amongst others. I cracked this open while watching Les Miserables on the telly: Domaine Maby Pont du Gard Rouge 2012. It’s a gentle, easy-drinking red but comes equipped with some real depth. A syrah and cinsault blend it’s a snip at £7.50 from the Wine Society (www.thewinesociety.com) and works well with or without food. Ideal with a hearty beef stew. Best of all, and surprisingly, it made Russell Crowe’s singing bearable. 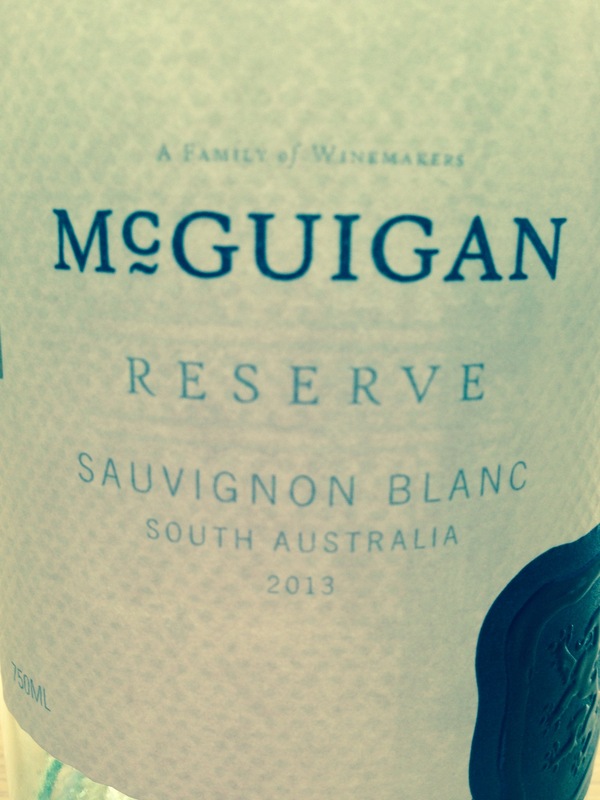 McGuigan’s winemakers use grapes from south Australian vineyards for its reserve range. 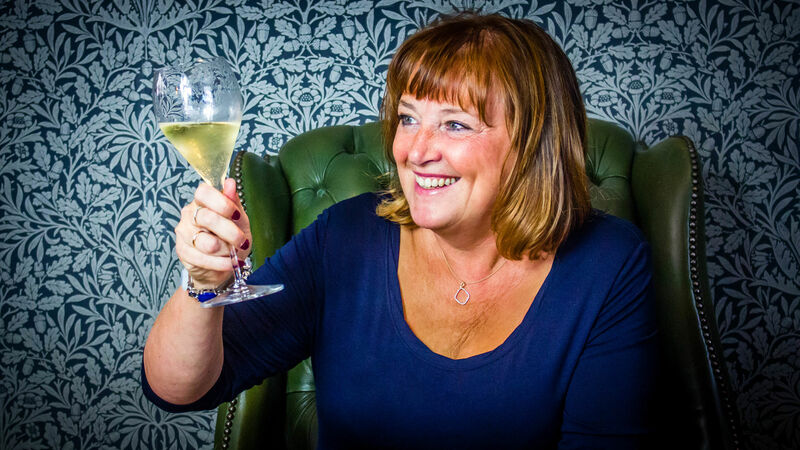 Our sauvignon blanc is fresh and lively displaying vibrant gooseberry and citrus fruit flavours that are complemented by a crisp, refreshing finish. Wasn’t massively blown over by this wine. There was an “oomph” missing but it was, well, OK. This sauvignon blanc has a delicate nose of tropical fruits and a crisp lemon finish.